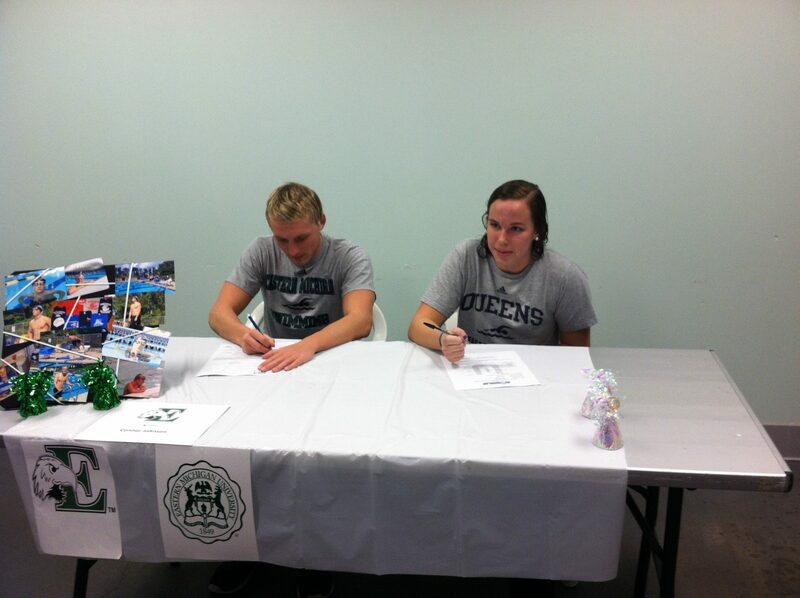 Two Swimmers from the New Wave Swim Team in Raleigh, NC signed their NLI's on Friday. Connor Johnson and Jessica Stringfellow, both swimmers for Raleigh, NC based New Wave Swim Team, signed their National Letter’s of Intent on Friday. Johnson will be attending Eastern Michigan University and Stringfellow will be joining the ranks of the Royals at Queens University of NC. Johnson is a strong Junior National qualifier in the butterfly events and Stringfellow will look to add depth to the distance events for the Royals. Photo’s Courtesy of Brendan Betts of the New Wave Swim Team. Congrats to Jessica!!!!! Very happy for her and her family!